Zehnder's Snowfest has been host to one of the top snow sculpting events in North America for the past 27 years. 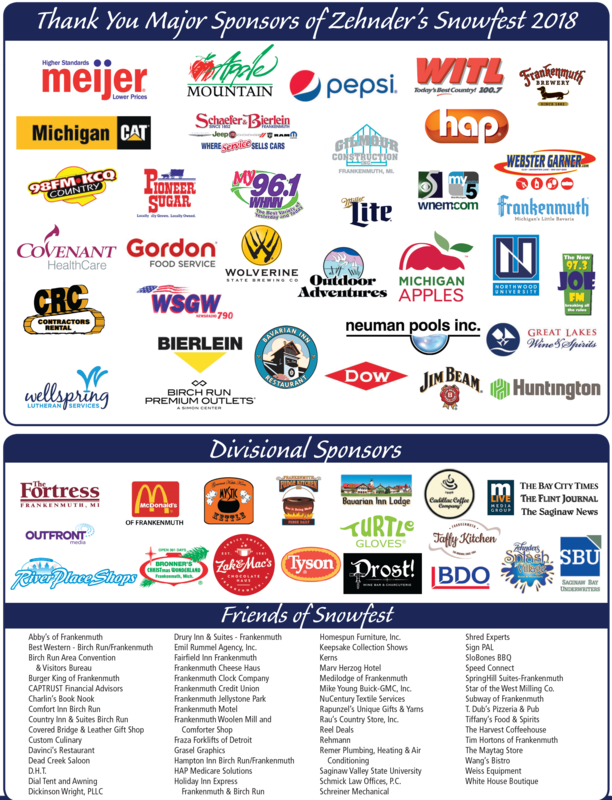 Plan now to attend Zehnder's Snowfest January 23 - 28, 2019! Visitors have enjoyed larger-than-life snow sculptures and beautifully detailed ice carvings each year. In addition, Zehnder's Snowfest will have entertainment for the entire family in the warming tent, a fireworks display, petting zoo and children's activities. Featuring: World Class Double and Single Block Snow Sculpting Championships, State of Michigan Snow Sculpting Competition, High School Snow Sculpting Competition, 100-Block Ice Carving Exhibition, U.S. National Collegiate Ice Carving Competition and much more! Like to take pictures? 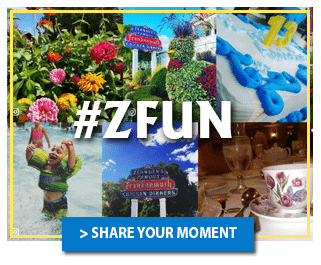 Enter the annual Snowfest Photo Impressions contest for a chance to win one of 3 great Zehnder's prizes! THE DETROIT TIGERS WINTER CARAVAN IS BACK! Zehnder's Snowfest is proud to welcome back members of the Detroit Tigers as the Tigers Winter Caravan rolls into Frankenmuth on Friday, January 25, 2019 during a special event in Zehnder's Warming Tent. Make plans to be part of Zehnder's Snowfest and the Tigers Winter Caravan! This is not an autograph event. Wednesday, January 23, 2019, 2019 starting at 10 am. View more information here. Thursday, January 24, 2019, 2019 from 1 to 3 pm. Complementary Bingo Cards included. Zehnder's will be hosting a Tap Room Takeover located in Zehnder’s Tap Room. Enjoy live music and complementary hors d’oeuvres and craft beer! View more information here.